Early this month it was spread the news regarding a sophisticated cyber espionage campaign against principal media agencies in the US, included NYT and Washington Post, the hackers have tried to compromise the email account of journalists to steal sensitive information. The campaign appeared very aggressive, the hackers have tried to infiltrate the network of the journal using 45 instances of targeted malware, as revealed by forensic analysis conducted by the Mandiant security firm. Mandiant experts observed that the hackers began work, for the most part, at 8 a.m. Beijing time operating for a standard workday, but the group of hackers has also attacks stopped for a couple of weeks periodically. Few weeks after The Mandiant® Intelligence Center™ released a shocking report that reveals an enterprise-scale computer espionage campaign dubbed APT1. The term APT1 is referred to one of the numerous cyber espionage campaigns that stolen the major quantity of information all over the world. The evidence collected by the security experts link APT1 to China’s 2nd Bureau of the People’s Liberation Army (PLA) General Staff Department’s (GSD) 3rd Department (Military Cover Designator 61398) but what is really impressive is that the operations have been started in the distant 2006 targeting 141 victims across multiple industries. Unit 61398 is partially situated on Datong Road (大同路) in Gaoqiaozhen (高桥镇), which is located in the Pudong New Area (浦东新区) of Shanghai (上海). The central building in this compound is a 130,663 square foot facility that is 12 stories high and was built in early 2007. We estimate that Unit 61398 is staffed by hundreds, and perhaps thousands of people based on the size of Unit 61398’s physical infrastructure. China Telecom provided special fiber optic communications infrastructure for the unit in the name of national defense. 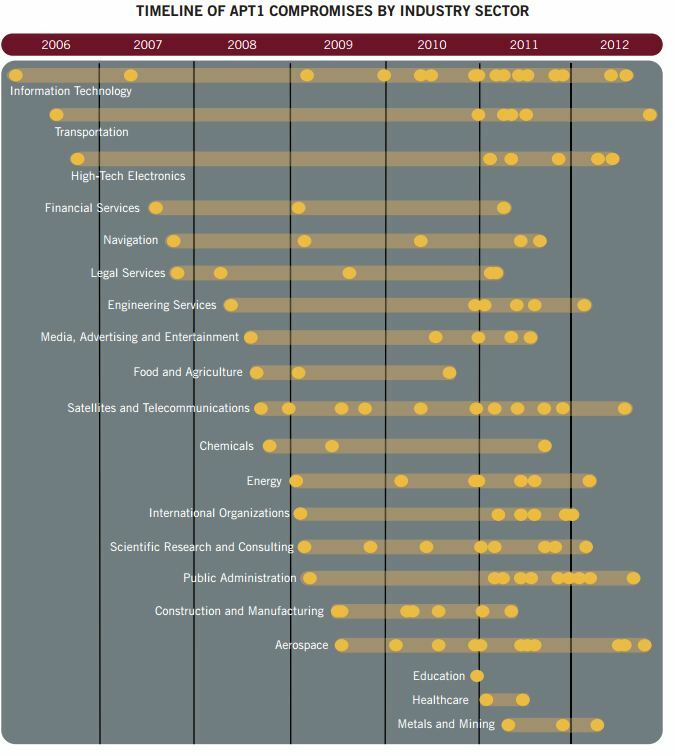 Unit 61398 requires its personnel to be trained in computer security and computer network operations and also requires its personnel to be proficient in the English language. Mandiant has traced APT1’s activity to four large networks in Shanghai, two of which serve the Pudong New Area where Unit 61398 is based. 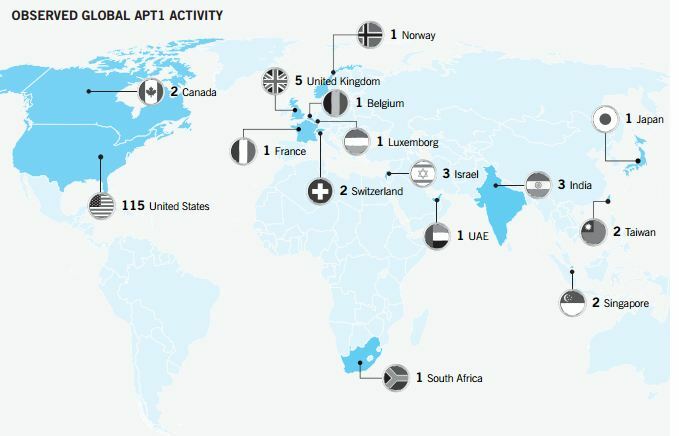 During the attacks the attackers have took over APT1 malware families and has revealed by the report APT1′s modus operandi (tools, tactics, procedures) including a compilation of videos showing actual APT1 activity. 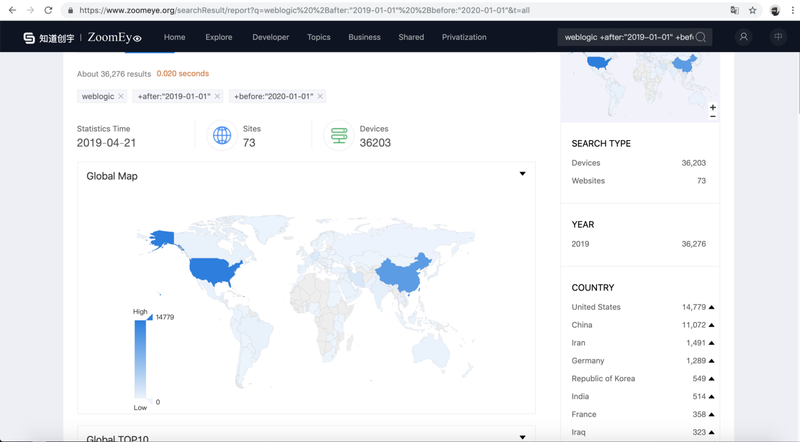 The Mandiant has also identified more than 3,000 indicators to improve defenses against APT1 operations and is releasing a specific document that will address them including APT1 indicators such as domain names, IP addresses, and MD5 hashes of malware. APt1 has systematically stolen hundreds of terabytes of data from victim organizations and has demonstrated the capability and intent to steal from dozens of organizations simultaneously. 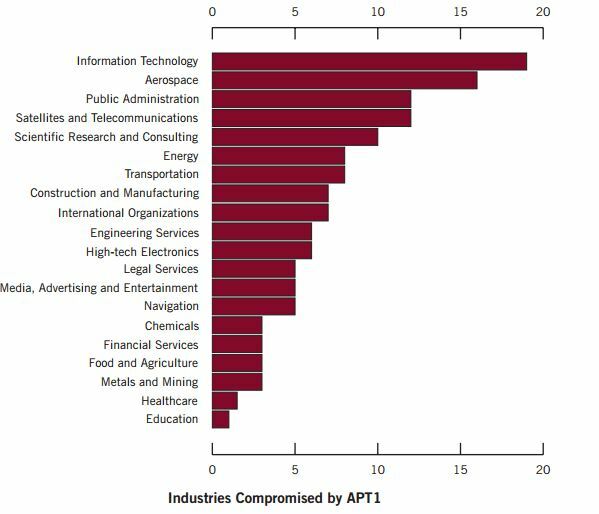 APT1 is a persistent collector, once APT1 has established access, they periodically access to victim’s network stealing sensitive information and intellectual property for a long time, typically maintaining access to victim networks for an average of 356 days. The longest time period APT1 maintained access to a victim’s network was 1,764 days, or four years and ten months. Thirteen (13) X.509 encryption certificates used by APT1. A set of APT1 Indicators of Compromise (IOCs) and detailed descriptions of over 40 malware families in APT1′s arsenal of digital weapons. IOCs that can be used in conjunction with Redline™, Mandiant’s free host-based investigative tool, or with Mandiant Intelligent Response® (MIR), Mandiant’s commercial enterprise investigative tool. Mandiant managers have decided to make an exception to its traditional non-disclosure policy due the risks related to the imposing cyber espionage campaign and its impact on global economy, many states and related industries are victims of the offensive. The cyber war has started a long time ago!